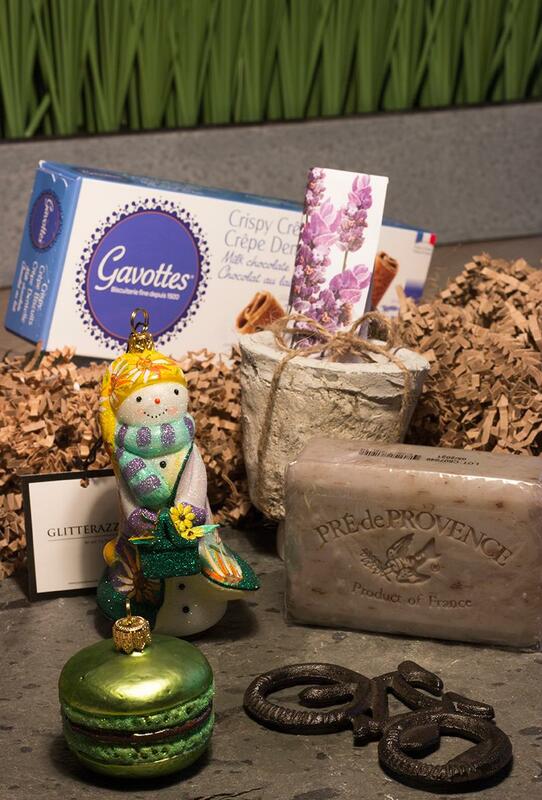 In this edition of Glitter Crunch Box you will receive the Provence themed box. You will receive a hand painted Glitterazzi Provence Snowman made by Joy To The World Collectibles. Also, a hand painted Macaroon ornament. A pre de Provence lavender bath soap enriched with shea butter for hydration. This box also includes a Provence inspired cache pot with lavender seeds to grow your own lavender! You will also receive a bicycle bottle opener and Gavottes Crepe Dentelle Cookies as well!